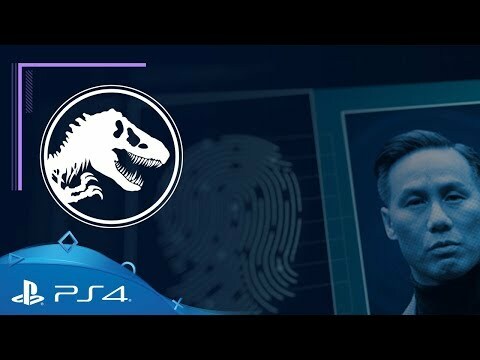 Be the director of your own Jurassic World theme park in a blockbuster management sim from Frontier Developments. Place yourself at the heart of one of history's biggest movie franchises and build your very own Jurassic World. Take charge of operations on the legendary Muertes archipelago, tranforming the quiet island into the ultimate tourist attraction and bringing the wonder, majesty and danger of dinosaurs to life. 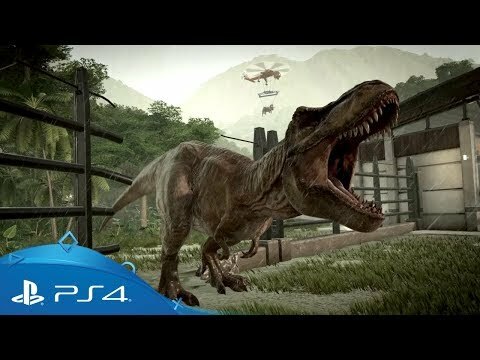 Available on PlayStation 4, Jurassic World Evolution is a new chapter in the official movie mythology that puts you in charge of cinema’s most famous tourist destination. 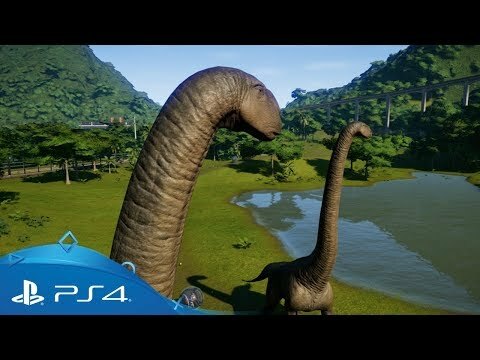 Reshape Isla Matanceros, Muerta, Pena, Sorna and Tacaño with powerful terraforming and building tools, and explore your own Jurassic World behind the wheel of your 4x4 or from the cockpit of your helicopter. Bioengineer dinosaurs that think, feel and react intelligently to the world around them. Manipulate life on a genetic level to give your dinosaurs unique behaviours, traits and appearances that will draw new visitors to attractions and fund your global search for lost dinosaur DNA. Use deep management tools or go hands-on to confront challenges on the ground or in the air. Expand your islands and choose your own journey in an all-new narrative featuring iconic characters from across the franchise and decades of Jurassic lore at your fingertips. Get full details on the first DLC expansion for Jurassic World Evolution. The complete standard edition including five islands to unlock and develop and dozens of dinosaurs to discover. The complete standard edition along with five extra dinosaurs that can be accessed through dig sites within the game.